Patricia C. Le Meur is an experienced trial attorney who has tried multiple cases to jury verdict. Her practice includes many aspects of civil litigation, including medical negligence, premises liability, personal injury, employment law, anti-discrimination law, and appellate law. Tricia was born in Kentucky. She obtained her Bachelor’s degree in philosophy from Bryn Mawr College and her Master’s degree in Anatomical Sciences and Neurobiology from the University of Louisville. She graduated from University of Louisville’s Brandeis School of Law in 2001. Tricia is admitted to practice before all trial and appellate courts in the Commonwealth of Kentucky, as well as the United States District Courts for the Eastern and Western Districts of Kentucky, the Sixth Circuit Court of Appeals, and the Supreme Court of the United States. 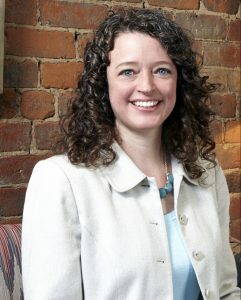 She is a member of the American, Kentucky, and Louisville Bar Associations. She is recognized by Super Lawyers and is a member of the American Constitution Society. In her free time, Tricia enjoys spending time with her husband and family. Her interests include reading, knitting, and yoga.